If you've ever wondered what it's like to live like a British noble, Cowdray House, an exclusive hire venue nestled at the heart of the Cowdray Estate in Midhurst, England offers just that. As you travel into Midhurst, it's clear just how sprawling the whole Cowdray Estate is as you begin to see cottages, homes and other buildings with the signature yellow window frames and doors... This colourful marker is used to clearly display every property within the extensive estate that boasts farms, multiple businesses, woodlands and even has its very own deer manager who tends to the population of Fallow and Roe deer that are often sourced for the dishes served at local eateries. With 15 ensuite bedrooms, a spectacular array of reception rooms including Buck Hall, stunning decor and a host of facilities including both indoor & outdoor pools and a bowling lane, Cowdray House is not only one of the most beautiful English country houses I've ever visited, but it's also an exclusive oasis just 1 hour from London Heathrow Airport that offers seclusion from the hustle & bustle of London within a convenient commute from the city. As an exclusive hire venue, Cowdray is the perfect spot to host a wedding, a corporate event, a special birthday party or, for anyone who enjoys luxury travel, a home away from home. Cowdray is not your average country house... No detail has been left unattended and guests will want for nothing while staying in the house. 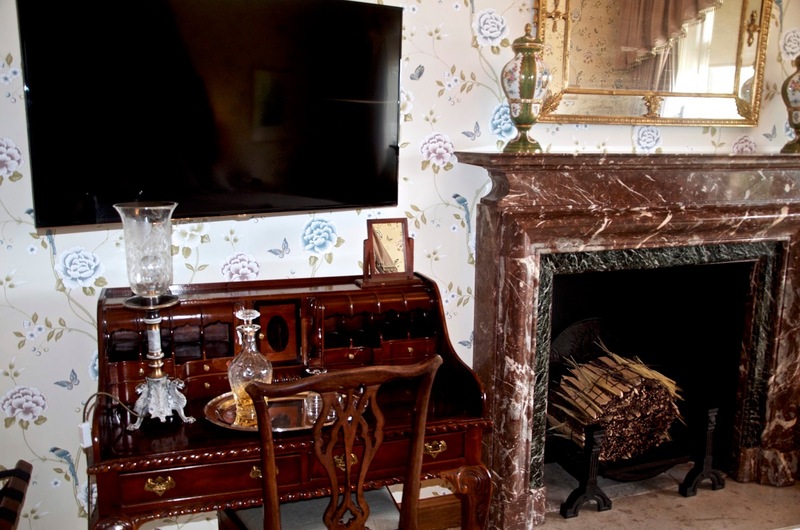 To add to the lavish feel of the house, each room is named after a precious stone, starting with the stunning master Diamond Suite (pictured above), followed by the ultra-feminine Pearl Room, the Golden Topaz Room, and so on... Each room is different and has its own personality and colour scheme. They're all just gorgeous and designed to feel like a home away from home. 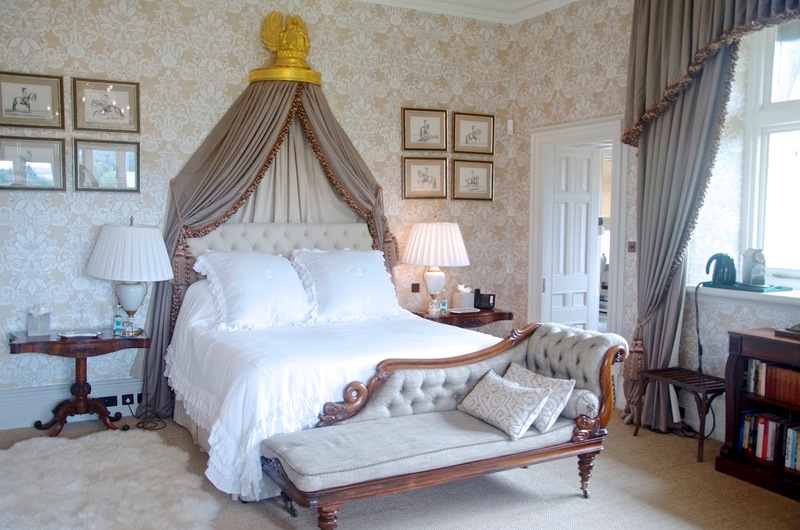 The guest rooms at Cowdray House feature cozy beds, spacious wardrobe storage, beautifully appointed bathrooms, spectacular views of the estate and even a crystal decanter & glasses in every room for those who want a nightcap after returning to their rooms. Luxury toiletries adorn every bath while a selection of books can be found on the shelves in each room for those who fancy a bit of reading before bed. 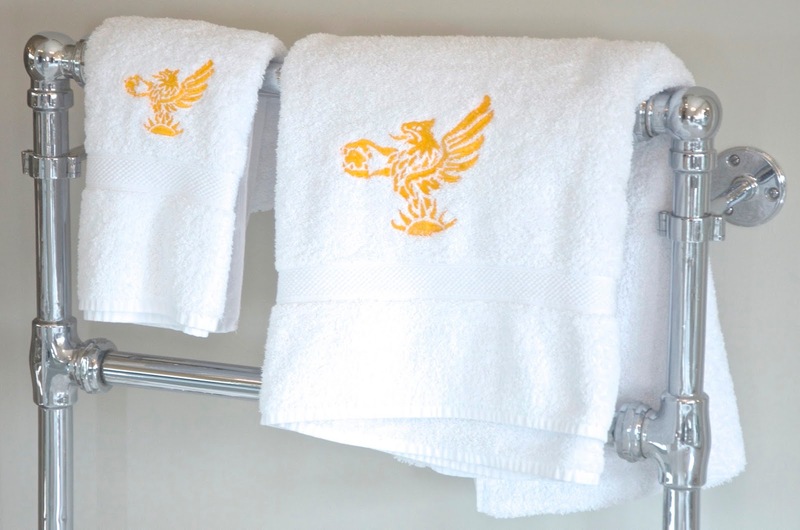 Every need you can imagine has been thought of from plush towels, robes & slippers, all beautifully embroidered with the Cowdray logo to more modern requirements including high speed Wi-Fi, televisions and telephones. For that added touch of comfort, Nespresso machines and kettles are provided in each guest room. 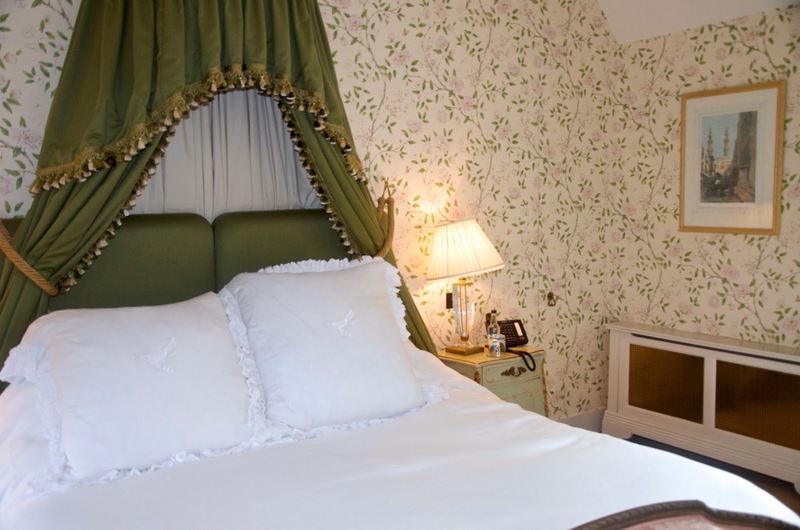 The rooms are labelled as either Deluxe or Luxury with each featuring either a super king or king sized bed for the ultimate in country comfort. While Cowdray House is available for guests to stay in, it's as far from a hotel as it can be. As an exclusive use venue, when you book into the house, you're getting the whole house. There's never a need to worry about who else will be about while you're staying there or hosting your event and you have the full run of the place. Exclusive hire is what makes Cowdray House so special and absolutely perfect for hosting any type of event that requires accomodation or traveling as part of a large group. This level of exclusivity is also brilliant for anyone who requires the upmost discretion... If you've invited celebrities, royals or other notable people to Cowdray House, privacy is something you can expect just when it matters most. 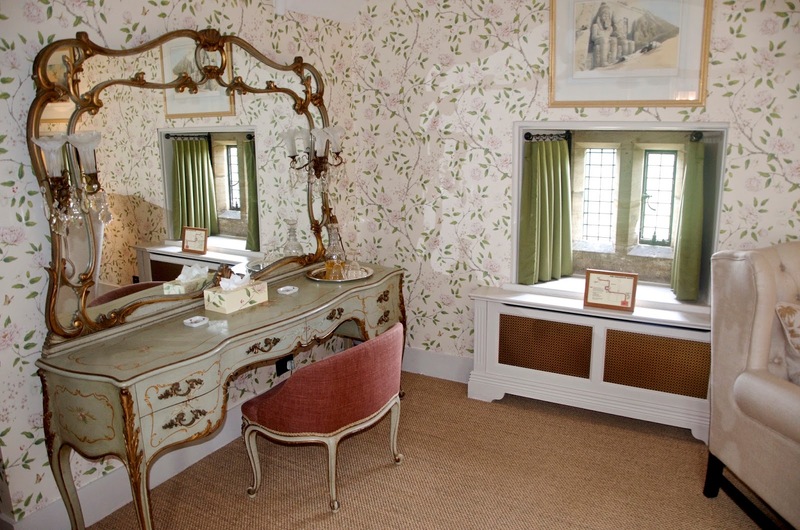 Each guest room at Cowdray House includes a luxury bathroom and for many of the rooms, it was my favourite part. 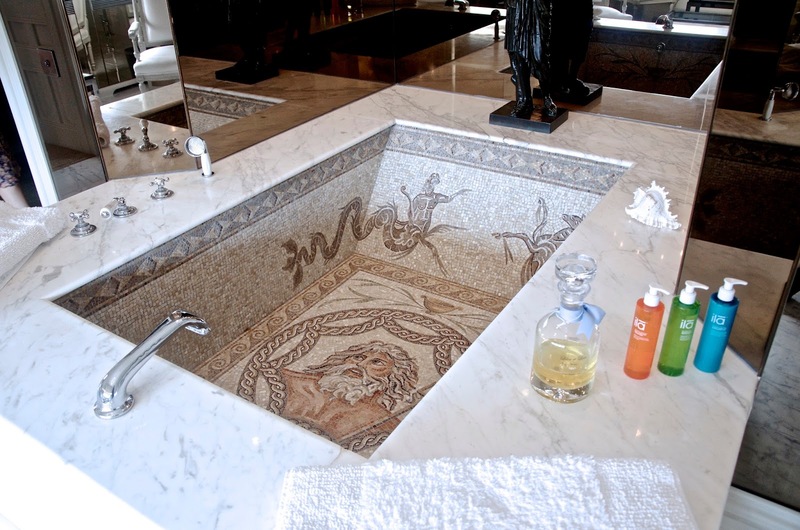 With luxurious baths in bright, spacious rooms, each one is different yet they all provide a level of luxury that one could certainly get used to. A few of the bathrooms are tucked away behind hidden doors and for anyone who struggles with an ailment or injury, one room features a bath that's rather cleverly sunken into the floor so it's easier to get in and out of it. 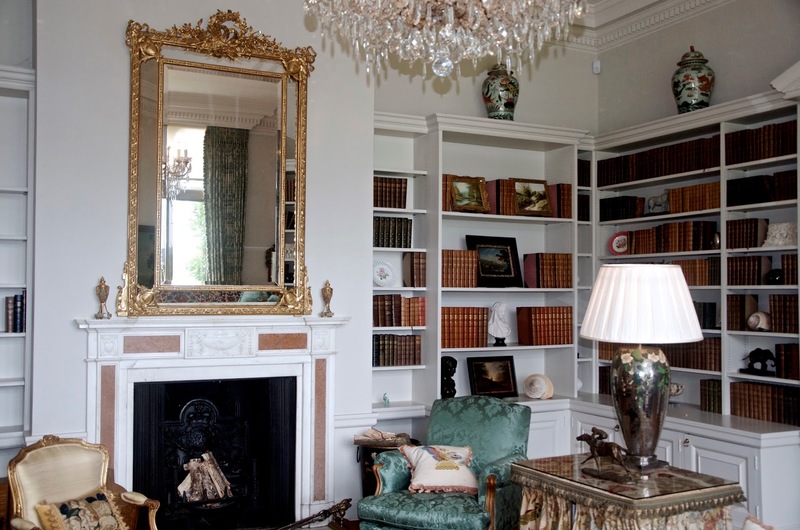 Whatever you may choose to use Cowdray House for, the choices are limitless. Guests can choose to simply stay at the house, host an event or wedding or simply hire the venue for private entertaining. From the grand and spacious Buck Hall to the gardens and pools, there are so many options for this beautiful property. Corporate retreats are popular at the house as are more intimate gatherings like milestone birthday parties and all details can be easily arranged to suit the host's preferences. From a selection of preferred service providers that Cowdray House works with such as caterers, florists and house staff, the level of attention required can be provided to make the event as special and efficient as possible. That said, whether entertaining privately or for business, hosts can also opt to bring their own staff if that's their preference... 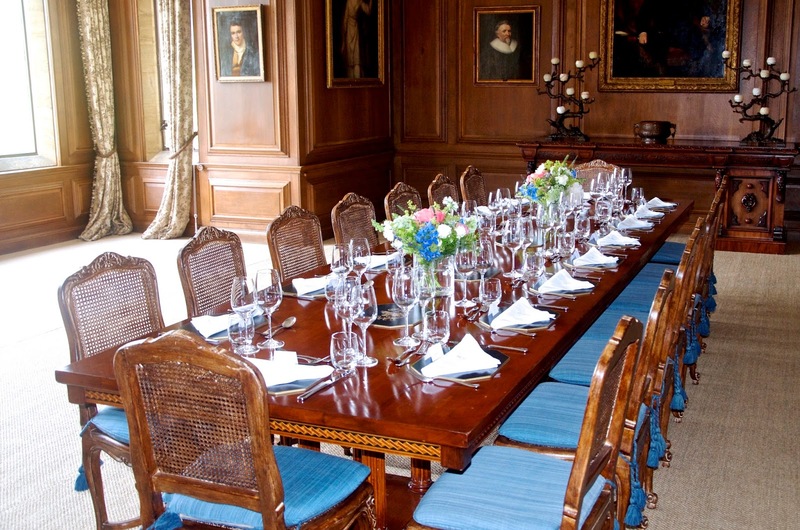 In terms of hospitality, Cowdray House has you as covered as you want to be while hosting your event. A wide variety of sporting is available on the Estate that guests may choose to get involved with including golf on the 18-hole championship course, fly-fishing on River Rother, wildlife tours of the Estate and clay pigeon shooting. If the Sport of Kings is of interest, Cowdray Park is the home of British polo and hosts matches regularly from April to September each year. 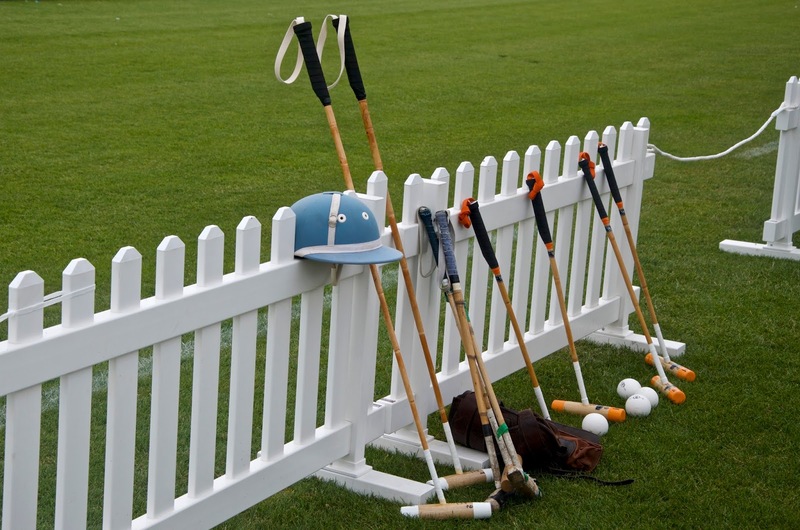 There's also an option for guests to learn how to play the sport themselves through the polo academy! 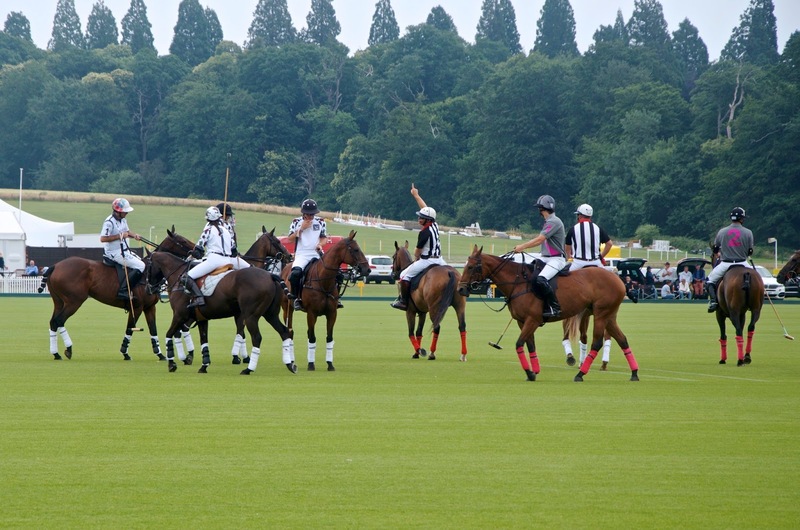 As part of my visit to Cowdray House I attended Jaeger Le Coultre Gold Cup polo match. 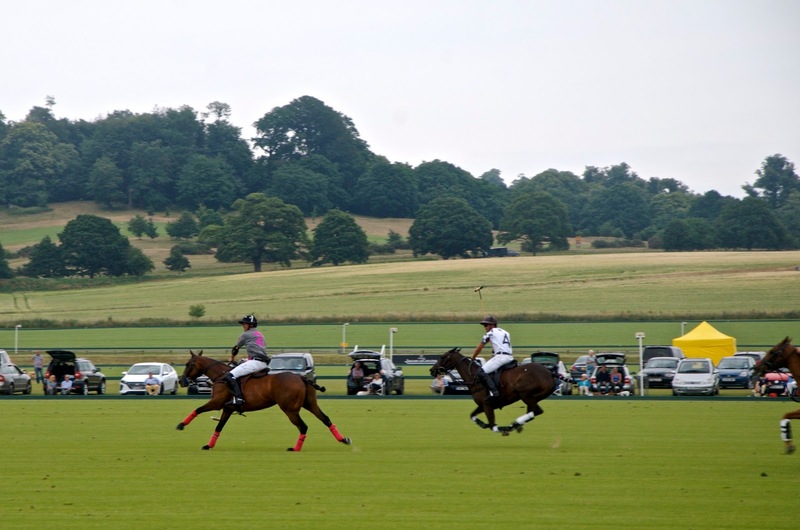 This wasn't my first time at Cowdray Park for a polo match and it was just as beautiful as I remember. Of course you can watch polo just about anywhere in the world, but there is something magical about Cowdray Park. Rolling hills and plush, green trees off in the distance provide such a lovely background for a day of sipping Champagne and watching what is in my opinion, one of the most interesting and beautiful sports played today. While touring the house, I was treated to lunch and it may very well have been the most beautiful lunch I've ever attended. Delicious food served on a perfectly presented table was just the beginning really... I couldn't help constantly looking around the room, lit perfectly with natural light from the large windows to see the gorgeous view and all the many paintings lining the walls. It really is a spectacular house and I suspect even if you visited every day for a year, you'd still be finding new and interesting aspects to admire. 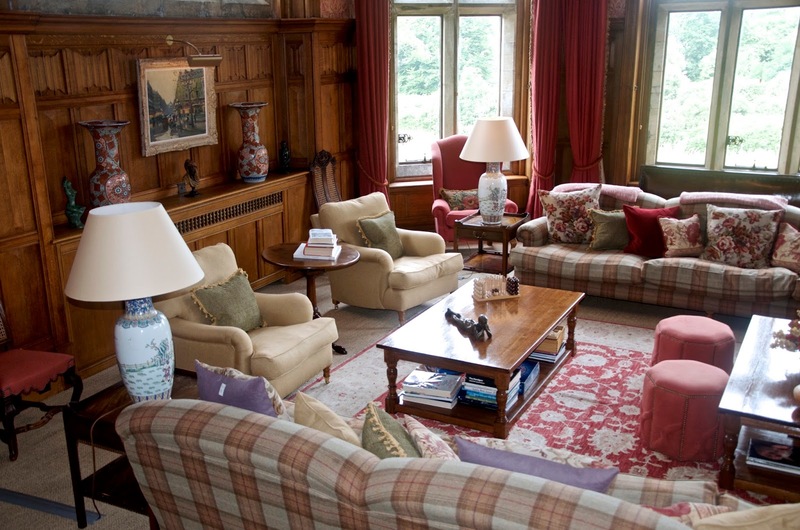 For guests hoping to unwind while staying at Cowdray House, there's no better place to do it. Whether a walk through the plush scenery is what you fancy or you prefer a swim, there are plenty of ways to relax at Cowdray. And should the rain settle in, it won't ruin the good time... My favourite room in the house is a lounge area which features plaid couches and relaxing decor with board games and a television. There's also a billiards room, bookshelves filled with all kinds of things to read all over the house and an indoor bowling lane... 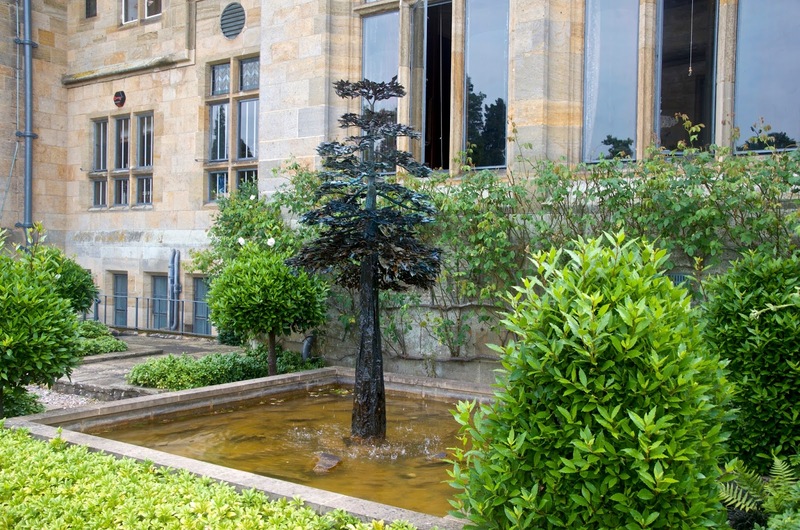 I think it would be impossible to be bored at Cowdray House. Cowdray House is the seat of Viscount and Lady Cowdray and while they no longer live in the property, their presence is still very much felt there. 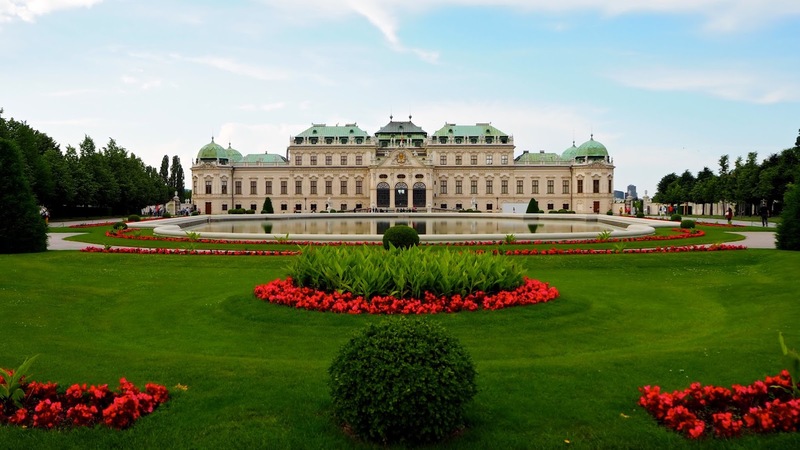 From paintings of the family on the walls to other personal touches, the house may be decorated and designed to reflect its new purpose, but there are still subtle tributes to its history as a home. 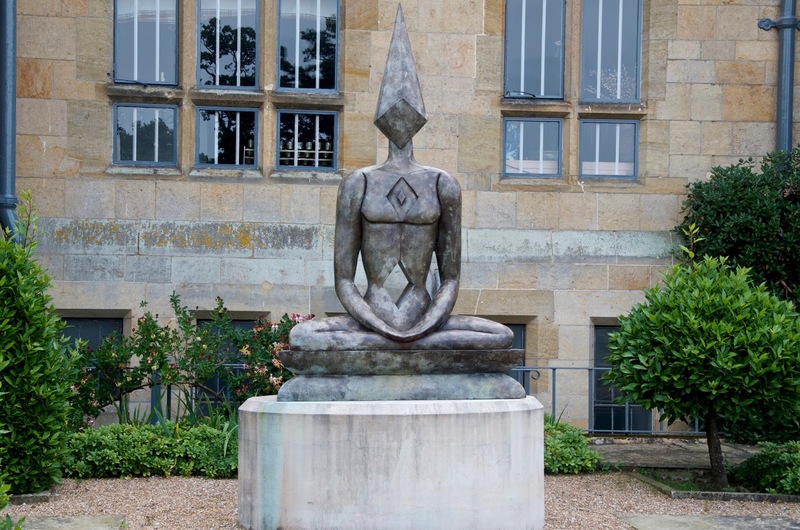 Lady Cowdray is an artist and one of her signature sculptural works is The Meditator which can be found throughout the estate, giving it a feeling of peace and mindfulness. 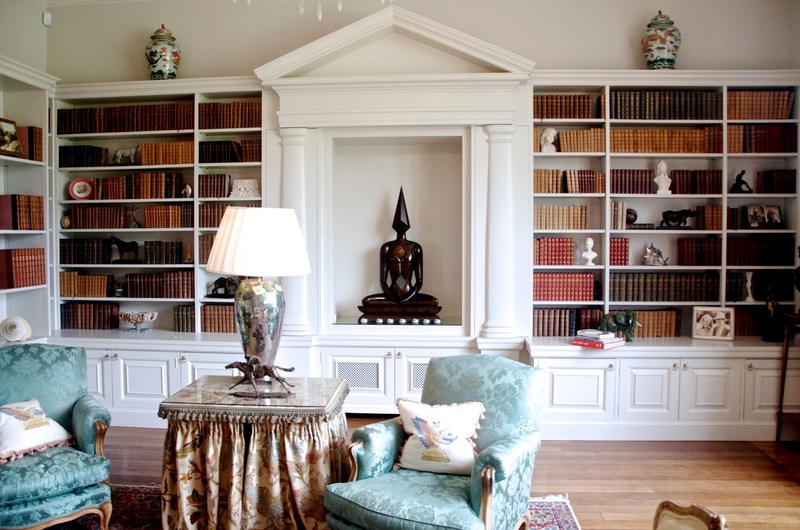 Along similar lines, wellbeing is a common theme throughout the house and estate. There are wellness classes and activities available on the estate including yoga and meditation. This theme is prevalent throughout Cowdray House, subtly adding a peaceful, grounded touch to the luxurious opulence of both the interiors and the exterior. 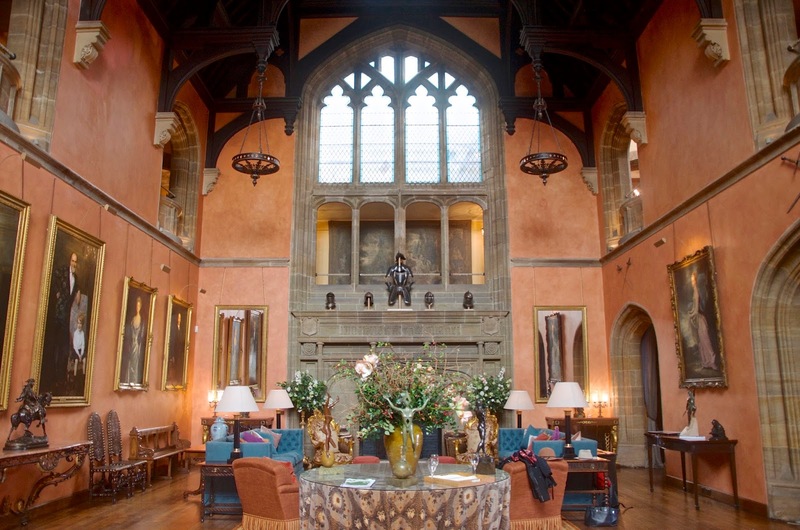 Staying at Cowdray House or hosting an event there is quite the luxury and may not be exactly suitable for all of us, but it doesn't mean you should deny yourself the privilege of visiting this gorgeous estate. There's so much to see and do, not to mention holiday cottages that sleep 2 to 4 guests and a Golf Lodge with a range of rooms & suites if hiring Cowdray House isn't exactly in your budget or what you'd prefer. A short walk from the polo grounds at Cowdray Park are the ruins better known as Cowdray Heritage, what's left from the original Tudor house that burned down. 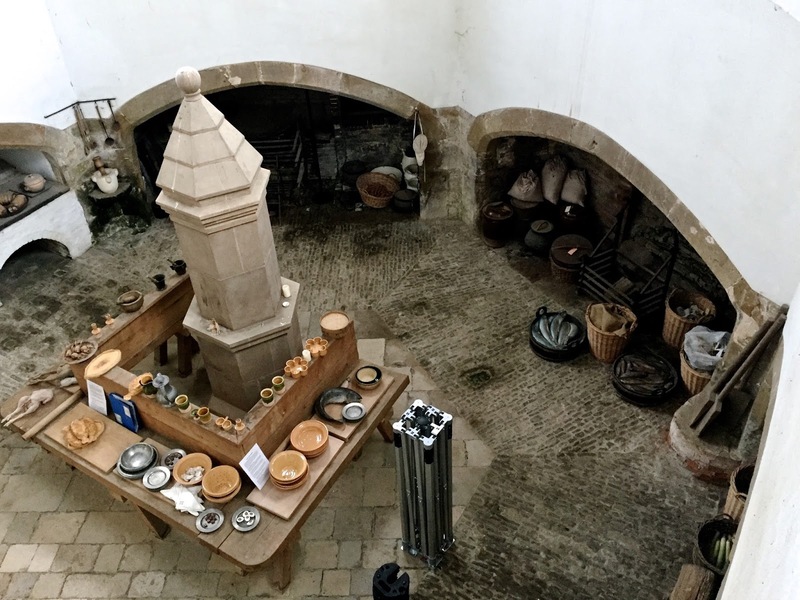 Among the ruins which will re-open for the season on July 15, 2017, there is still a preserved Tudor style kitchen and a tower that houses a working art studio. Currently working in the studio is Cowdray's own artist-in-residence, David Cranswick who runs five-day Renaissance art workshops. Click here for more information on Cowdray Heritage and the art workshops. For the more active of visitors, Cowdray is a wonderland featuring a clay pigeon shooting range & school, a polo academy, Cowdray Park polo grounds for spectating, fly fishing, woodlands & fields for hiking, wildlife tours of the estate and Bear Grylls survival weekends for people who'd love to experience a night out in the wild. There's certainly no shortage of ways to spend some time if adventure is what you seek on your visit to Cowdray. The Wellbeing Centre at Cowdray is just the thing for people who are seeking a bit of a break from the hustle and bustle of everyday life. With a weekly programme of yoga, pilates, meditation, tai chi and more, it's just the ticket for a more relaxing, mindful visit to Cowdray and fits in beautifully with the overall theme of wellness across the estate. There are also therapy rooms for clients to see various service providers such as osteopaths and nutritionists. Foodies and shoppers will want to visit the Farm Shop which offers everything you'll need for your stay should you opt to stay in the self-catered cottages on the property. Featuring a café that serves wonderful coffee, this is the spot to visit if you want to grab homemade venison burgers, hot meals, homemade cakes, 'free from' options, artisanal cheeses, deli items, meats, local produce and more. The Farm Shop also sells a number of lifestyle items including linens, candles, toiletries and even a little something for your dog. For more information, to enquire about hosting your next holiday or special event at Cowdray House or to plan your visit to Cowdray Estate, visit www.cowdray.co.uk.